Tell: So since Chelsey is at BlogHer! she asked me to host todays Show and Tell. 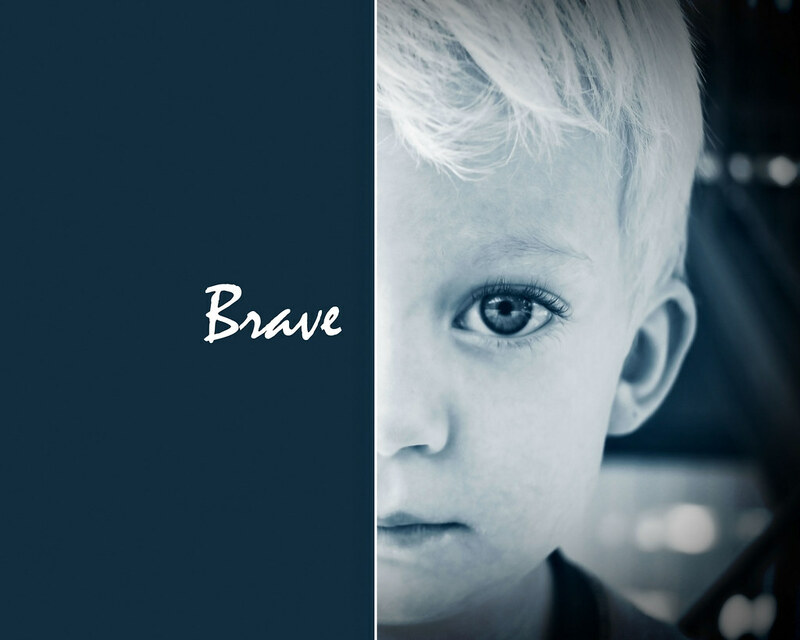 My photo is one I put together after a long week of talking with Wyatt about being brave. I sooo want to blow this photo up and put it on canvas and hang it on his wall because I feel like you can just see the courage he has in his eye and how he was so determined to be brave and just so you all know we have finally accomplished sleeping in his bed with out the light on. phew. Once a month we will give you a one word (sometimes 2) inspiration/suggested prompt for a self portrait challenge. Have fun with this! This next months self challenge will be up on August 28th and the suggested challenge word is "Music". that is such a beautiful photo I def think you should blow it up and frame it for his room. What a great piece of art. Wyatt is a dear little boy and brave too!